 Resources - Classic Remodeling NW, Inc. INTERESTED IN THE NEXT SEMINAR? Come join us and Learn about construction and home remodeling! We put our long history of industry and customer education to good use in seminars. These events are great opportunities to learn about selecting the right contractor for your project and how to plan and execute a successful bath, home, or kitchen remodel. Come join us for a friendly and informative conversation about construction and home remodeling. You can find us presenting our seminar starting up next year of 2018. Here are some very important questions that you will want answered before you sign a construction agreement. It is so much better to find out before anything is signed that your contractor of choice isn’t a good fit or even licensed then after construction has started and you are tied to them by the hip. By asking these simple questions you could save yourself thousands of dollars. WHAT IS A DESIGN/BUILD CONTRACTOR? This consumer handout is designed to offer to you information about the construction industry and how to avoid many of the pitfalls inherent in the contractor selection process. From super low prices and high pressure sales tactics to unqualified carpenters and their questionable methods… how do you ever find a competent, qualified construction professionals? You start first by reading this consumers guide. To help you to not become another statistic for the better business bureau, the information included in this consumer report will give the practical knowledge needed to make sure your project is run in an efficient manner and with as little disruptions as possible. It will also give you a realistic idea as to what to expect during the construction process. There are three insightful and educational consumer reports that are available for your education : Your Remodel, How to Make it a Success/Consumer Education Brochure/15 Questions to ask before Hiring a Contractor. Just fill out the information page, and list what reports you would like in the comment box. We have a handout to share with you to keep you safe from having a bad experience. That good communication is the most important aspect of a well run project. How to come up with a budget for your project. How to decide upon a scope of work for your project. What constitutes a successful remodeling project. What are construction consultants, and do you need them. What to look for in a construction contract. Should you remodel or move to a new home. Who should do the design of your project and much, much more. Discover how you can avoid an avalanche of headaches the next time you remodel your home! Please review our educational material on this site at no cost. We are not only members of National Master Builders Association but are an Education Facilitator for the Master Builder Association of King and Snohomish Counties. READY TO GET STARTED ON YOUR HOME REMODEL OR CUSTOM BUILT DREAM ?